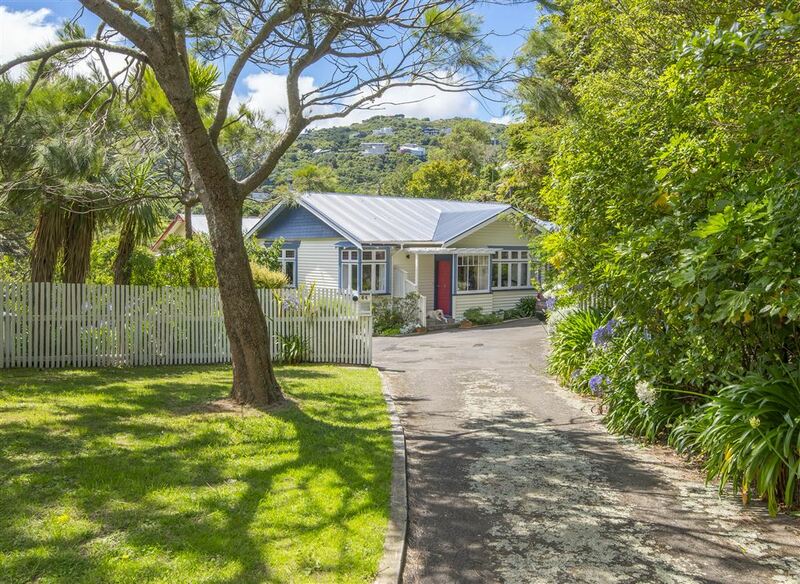 This gorgeous bungalow has internal access, off street parking for numerous cars and flat lawns - a scarce commodity in Wadestown! The private rear section offers wonderful outdoor living with a patio, flat lawn and a beautiful garden while the front lawn comes with its own playhouse or office. Relax in the separate lounge in front of the fire or enjoy open plan kitchen living. This welcoming home has many original features and has been beautifully maintained and upgraded, so you can just move in and enjoy this three double bedroom home. It's fantastic location not far from shops, schools and public transport, is within walking distance to the CBD and in the Wellington College zoning. RV $650,000.